Z-Man's Finesse ShroomZ jigheads are the perfect Ned Rig when paired with the TRD's. 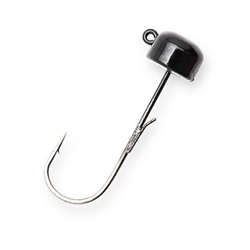 This jighead features a custom wire keeper that is welded onto the hook shank which holds baits securely without the need for gluing. The mushroom-shaped head will blend seamlessly into your finesse baits.